When it comes to estimating, your project is in expert hands with Shane Cloud. Shane knows the DFW market as well or better than anyone. He should, he's been studying it for twenty-eight years starting as a Building Construction major at Texas A&M. For the next eight years he wore a tool belt working for an interiors contractor as a journeyman and progressed to Superintendent where he learned the details about the various trades. In 1990 Shane moved up to Estimator/Project Manager where he excelled because of the strong foundation he built in the field. 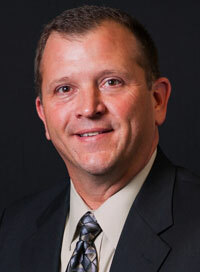 He joined Highland Builders, Inc. in 1999 in the same capacity and was promoted to Vice President - Estimating in 2005. Over the years Shane has gained experience in every conceivable type of project. From small interior finish-out jobs to huge, multi-floor phased Class-A projects, Shane has done them all including remodels and new construction, interiors and shell buildings. Shane's technical knowledge, attention to detail and his familiarity and respect for the trades allows him to enjoy exceptionally strong working relationships with our subcontractors and suppliers. His winning personality and outstanding communication skills earn him the respect and recommendations of even our most construction-savvy clients.